Non-motor symptoms of Parkinson’s disease (PD), such as depression, apathy, cognitive impairment, sleep disorders, and sensory symptoms, can have a greater impact on health-related quality of life than motor deficits. In a post hoc analysis of the exenatide-PD trial results, investigators found that patients on exenatide treatment experienced improvements in severity of depression, independent of whether their motor function improved. They report their findings in the Journal of Parkinson’s Disease. “These data should be considered as hypothesis-generating rather than formal evidence to support an effect of exenatide on mood or cognition and should not be used to influence patient treatment decisions. Nevertheless, we will consider carefully how best to capture mood severity in planned future trials of exenatide in PD,” commented Professor Foltynie. “The study of potential benefits of anti-diabetic agents that might modify disease progression in Parkinson’s is a vibrant research area. Not only are we learning about what the effects of the drugs might be in patients, but emerging parallel work in laboratories is also beginning to unravel the underlying mechanisms of action of the drugs in the brain,” added Patrik Brundin, MD, PhD, Associate Director of Research, Professor and Director of the Center for Neurodegenerative Science, Van Andel Research Institute, Grand Rapids, MI, and Co-Editor-in-Chief of the Journal of Parkinson’s Disease. 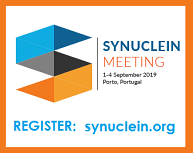 Full openly available study: “What Effects Might Exenatide Have on Non-Motor Symptoms in Parkinson’s Disease: A Post Hoc Analysis,” by Dilan Athauda, Kate Maclagan, Natalia Budnik, Luca Zampedri, Steve Hibbert, Simon S. Skene, Kashfia Chowdhury, Iciar Aviles-Olmos, Patricia Limousin, and Thomas Foltynie (DOI 10.3233/JPD-181329), published in the Journal of Parkinson’s Disease, Volume 8, Issue 2 by IOS Press. 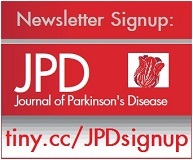 It is openly available at https://content.iospress.com/articles/journal-of-parkinsons-disease/jpd181329. This study was funded by the Michael J. 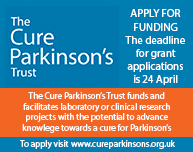 Fox Foundation for Parkinson’s Research and the Cure Parkinson’s Trust and coordinated by University College London’s Comprehensive Clinical Trials Unit. For additional information, contact Diana Murray, IOS Press (+1 718 640-5678; d.murray@iospress.com). Journalists wishing to interview the study’s authors should contact Thomas Foltynie (t.foltynie@ucl.ac.uk).